Wish You Lived in Indiana? 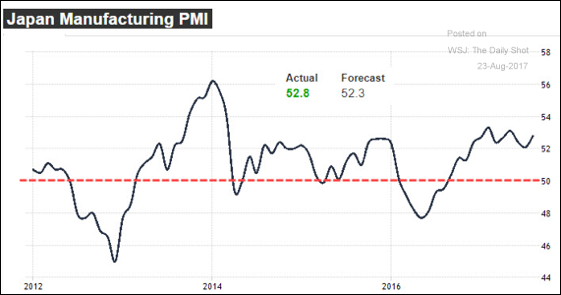 Is a Strong Economy Better for the Stock Market? What will GDP growth be? 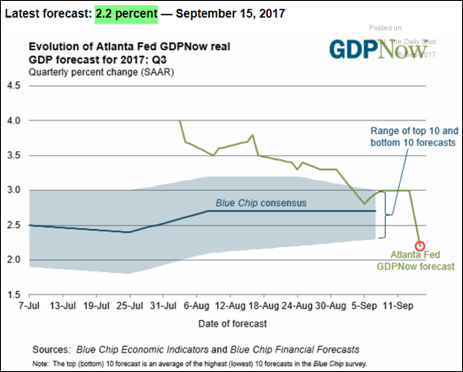 The Atlanta Federal Reserve even has a widely followed service called “GDP Now” whereby they continuously update the next quarter’s GDP growth forecast with each new piece of economic information. While strong GDP growth makes jobs more plentiful, it historically has had very little effect on the stock market. 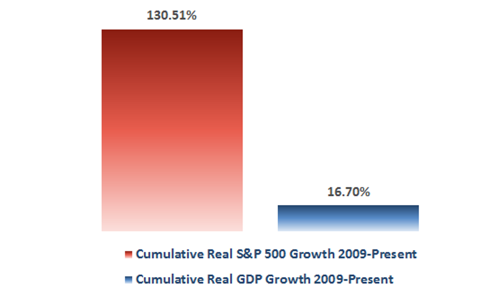 In fact, studies show an inverse relationship between GDP growth and stock market performance. Surely, rapid Gross Domestic Product (GDP) growth causes profits to accelerate and, therefore, stock prices. In a study of 17 countries going back to 1900 researchers found a negative relationship between investment returns and growth in GDP per capita. In other words, higher GDP growth led to lower stock market returns. The Economist magazine identified China as the classic example of this phenomenon; average GDP growth between 1993 and 2009 was 15.6%, the compound stock market return over the same period was negative 3.3%. The same phenomenon happened in the U.S. This study was done by Warren Buffett. He looked at two adjacent 17-year periods: 1964 to 1981 and 1981 to 1998. During 1964 to 1981 Gross National Product (GNP) rose 373 percent, whereas the stock market was flat. In the following 17-year period, from 1981 to 1998, U.S. GNP grew only 177 percent but the stock market had a 949% increase. The explanation for this has to do with human behavior and interest rates. It is not that growth destroys returns, but that the market already recognizes the high growth nation’s potential, and bids the price of its equities too high. When these unrealistic expectations are not realized (mean reversion) the process is reversed lowering long-term returns. During 1964 to 1981 long-term government bond rates moved from 4.20 percent to 13.65 percent. While from 1981 to 1998 those same rates fell from 13.65 percent to 5.09 percent. 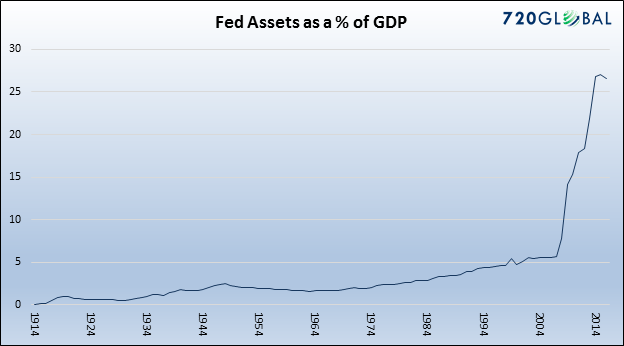 Have Federal Reserve Actions Worked? Since 2009 the Federal Reserve and the Treasury have embarked on numerous programs to stimulate the economy: bond purchases from banks (Quantitative Easing), the Troubled Asset Relief Program or TARP, HARP, HAMP, “Cash for Clunkers,” direct bailouts of financial institutions such as Bear Stearns, AIG, banks too numerous to mention, along with GM -- all of which totaled to $33 trillion – that’s basically two times the size of the whole U.S. economy. While the Federal Reserve has failed to stimulate the economy in the manner intended, it has contributed to the stock market increase by pushing interest rates to historic lows. Remember, the important point is that stock prices move up on positive surprises e.g., actual better than forecast. If the child has some earned income you can use your money to fund a Roth IRA on his/her behalf up to the amount of their earned income. If your income is too high an IRA contribution will be nondeductible. If you leave it there you face future RMDs and income tax on the withdrawals. To avoid this, you can do a “backdoor Roth maneuver” by converting the nondeductible monies to a Roth. No income limits apply to conversions. If the earning spouse has enough earned income to cover the total amount contributed for both, the couple can make IRA contributions for both individuals each calendar year. Expenses covered are tuition, textbooks, room and board and supplies. Payouts can be used to pay expenses for the IRA owner, spouse, child or grandchild and not incur the 10% early withdrawal penalty. Early withdrawals from a 401(k) don’t get this penalty free treatment. For those in Texas and Florida affected by the recent storms you can deduct losses to the extent you are not reimbursed by insurance. Your loss is equal to the lesser of the property’s adjusted basis or decline in value. Only if you itemize deductions can you take a deduction for nonbusiness property. For personal losses, the loss is first reduced by $100 and the balance is deductible to the extent it exceeds 10% of your adjusted gross income. For 2017 the income levels to qualify for health insurance premium credits are up to $47,520 for single filers and up to $97,200 for joint filers. The annual cap on deductible contributions to Health Savings Accounts (HSAs) is $3,400 for self-only coverage and $6,750 for family coverage. The limits on out-of-pocket costs (deductibles and co-pays) are $13,100 for family coverage and $6,550 for individual coverage. 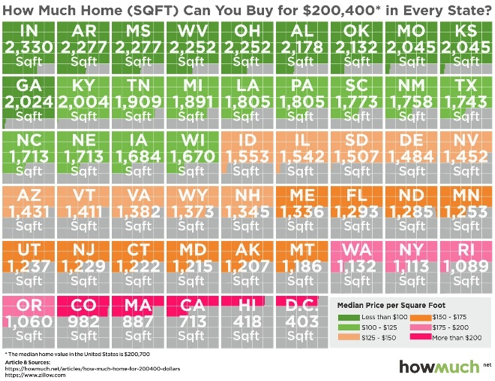 If older than 71 you can write off as much as $5,110 per person, for those 61 to 70 $4,090 and those 51 to 60 $1,530. You should keep returns for at least three years because that’s how long the IRS has to question items and to bill you for any additional tax. However, the IRS can go back up to six years if a return omits more than 25% of income. In 2018 individuals will be able to make gifts of up to $15,000 without any tax consequences. Elroy Dimson, Paul Marsh, and Mike Staunton. The Triumph of the Optimists: 101 Years of Global Investment Returns. (Princeton: Princeton University Press) 2002. Warren Buffett and Carol Loomis, “Mr. Buffett on the Stock Market.” Fortune Magazine, November 1999.